Trustees of the Mount Laurel Public Education Fund Inc. donated $30,000 to the district at the September 2016 Board of Education Work Session meeting. The funds represented proceeds from the "21st Annual Golf Outing held in September. The Mount Laurel Education Fund, Inc. is an independent non-profit corporation formed in 1994 to broaden support for quality education in the Mount Laurel Public Schools. Proceeds from the tournament have raised more than $800,000 over the past 24 years for Mount Laurel Schools. The Mount Laurel Public Education Fund depends on the support of the community to provide the best educational resources to the teachers and students in Mount Laurel schools. The volunteer-run organization is benefited by community sponsors. Continue reading about The Public. In the 2017-2018 school year, the Public Education Fund contributed tutoring grants for students, as well as project grants for staff. The majority of the funds raised continue to be dedicated to retention of after-school clubs and related activities Continue reading about Grants. 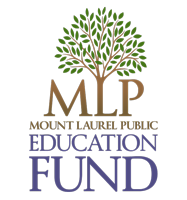 The Mount Laurel Education Fund, Inc. is an independent non-profit corporation formed in 1994 to broaden support for quality education in the Mount Laurel Public Schools.